Be prepared for your post-marathon routine. It will make your recovery much easier. Don’t let your ego or paranoia effect your judgment and return to strenuous workouts too soon. Your immune system will not work as well as normal after the race, therefore be sure to get plenty of rest. Low level, cross training is advisable beginning 1-2 days post-race. If you have sharp pain or your dull aches and pains don’t seem to be getting better within a couple of days, seed treatment from a Physical Therapist. You finished! After months of intensive preparation, you’ve run the big race. The moment you cross the finish line, the process of recovery must begin. Marathons are physically and mentally brutal. Your body has just been pushed to the maximum limits in almost every physiologic aspect. An effective marathon recovery program is essential to reduce injury in the short term and increase your potential in the long term. This involves replenishing depleted fuel stories with a proper balance of rest and relaxation coupled with low intensity exercise instead of your previous aggressive training program. Effective marathon recovery helps your body “heal” itself. Your mind also will benefit greatly from the rest and relaxation that will take place in the days and weeks following the completion of the race. Your body needs time to repair itself following the “damage” that occurred while you prepared and ran the race. After a marathon, your entire system is fatigued including your musculoskeletal system, your immune system, and even your mental state. 1. Musculoskeletal System – During the race your entire skeletal system takes a beating. Some of the most common post-race conditions are a result of the repetitive nature of the high impact activity of running. The muscles, tendons and joints are going to be sore. This soreness will continue to worsen as the days following the race progress. Usually the effects of DOMS, Delayed Onset Muscle Soreness, are at their worse within 48 hours of the event. The muscle cells are damaged during the run, and they swell causing pain. There is no way to avoid some of the effects of DOMS, but you can limit the severity of it by taking an ice bath shortly after the race for 10 -15 minutes and performing a very low level intensity workout (walking or biking with low resistance) on the days immediately following the race. The muscle and tendon tissues are strained due to the intense preparation and actual race. 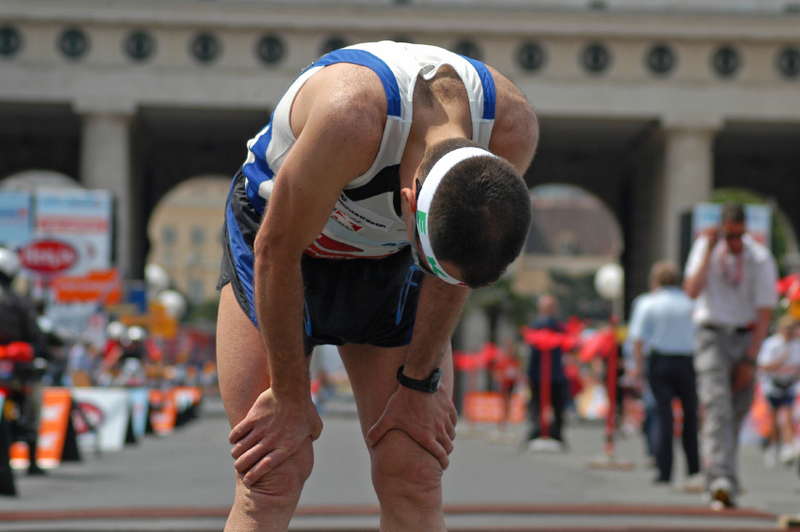 As a result, many marathon runners experience the effects of DOMS for 2-3 weeks following the race. Stick with the low level intensity workouts until your body feels better. Performing high intensity exercise can cause more damage and possibly injure the muscle or tendon tissue. If your symptoms do not abate or they get worse within 2 weeks, seek advice and treatment from a Physical Therapist. There are specific exercises, modalities and manual techniques that can speed up the recovery time following this type of injury. 2. Immune System – Even though the marathon is over, your marathon regimen is not. 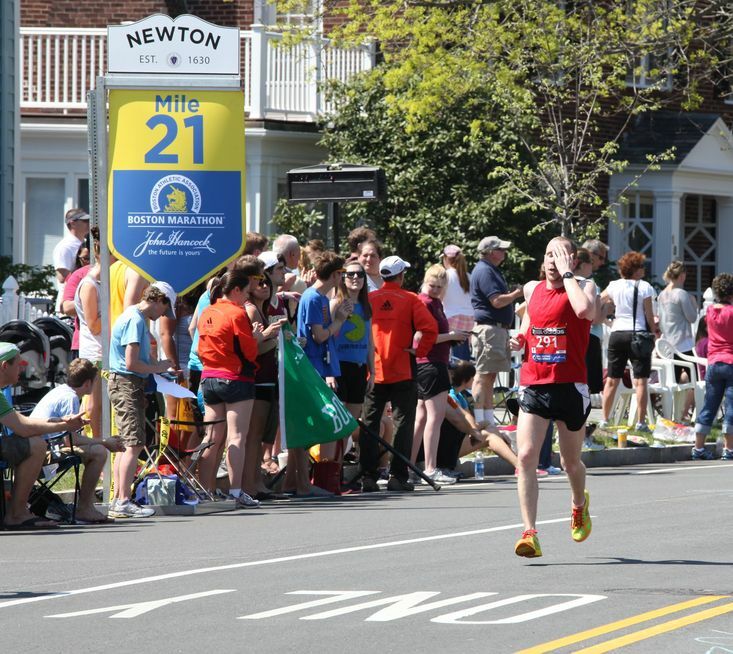 The intense preparation and grueling race weakens your immune system. Your fuel stores have been depleted and you are on the verge of being dehydrated. An effective marathon recovery regimen must include time for refueling with proper rest, food and drink. The human body is great at compensation and will keep “pushing through” long after it is weakened. During the week following the race, you’re body will be more susceptible to “catching” the common cold and flu secondary. It is essential to get enough sleep, eat a well balanced diet and drink enough water throughout the day. Do not attempt to return to high-level workout for the first 7-10 days post race. 3. Mindset- The intensity of a marathon doesn’t simply effect your body, it also impacts your mind. By the completion of the race, you may feel a mix of emotions. The physical intensity of completing an endurance race can create euphoria, and may one of the most intense “highs” you’ve ever experienced. At the same, you may also feel frustration if you did not achieve your goals. Some people respond with an intense drive to run another race immediately. Before making any decisions, it is essential to spend some days resting and allowing your mind and body to recover from such an intense state. 1. Immediately After Race – Following the race you should continue to walk and move. Your legs will feel fatigued and your feet will hurt. You might have developed blisters and if there was a lot of downhill running your toenails might be a mess. While these minor injuries will need attention at some point, your immediate concerns include getting warm while re-hydrating and re-fueling your depleted system. Change into dry clothing and begin drinking water and sports drinks to replenish the electrolytes that you sweated out during the race. You also need to begin to re-fuel your system with carbohydrates and proteins. Eat something easily digestible and possibly in liquid form. Since your appetite will be suppressed anyway, so don’t attempt to eat a big meal immediately following the race. 2. The First Week – The first 7-10 days following your race is a critical time for your body to recover. You will need to curb your desire to exercise aggressively or run. You should stay active, but it must be very low intensity level exercise and preferably cross training and not running. It is not uncommon for elite runners to take up to 2 weeks (or more) off from running following a race. The body will not become deconditioned in a couple of days following your race if you don’t exercise and run. The benefit of resting your joints and muscles is far greater than any concern of becoming deconditioned if you take several days off from a regular running routine. Post-marathon activity is extremely important in preventing long lasting injuries. The amount of rest that your body will require to fully recover will be surprising to most people. You will have to respect the fatigue, lethargy, and aches and pains that are present or you might make the situation worse. This is one time when more exercise is definitely going to be the wrong choice to make. Take it easy for several weeks and “listen” to your body. You will not lose your conditioning if you take a few weeks off and your body will greatly benefit and fully recover from the grueling activity marathon race.